Home / Indian News / Case Against Cellphone: Deal That Deal Differently .. Surprising Attorney! Case Against Cellphone: Deal That Deal Differently .. Surprising Attorney! 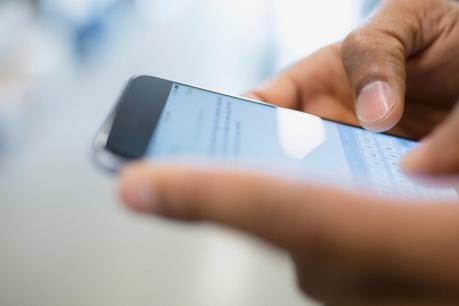 The Central Jurisdiction High Court ruled that the cellphone was first filed by the prosecutor in the case, which sought to be aware of the risks associated with the use of cell phones. Rajendra Diwan belongs to the central province. As a social worker, he has been sued by the Supreme Court in order to bring some guidelines to make awareness to prevent the dangers of using cell phones. He said that awareness was caused by pregnant women and children to protect them from the dangers of cell phones. Chief Justice Hemant Gupta, who was hearing the case, gave a different verdict. Ask the attorney for Diwana, tell your client first to submit to his cellphone court. The judge said that one of the cell phone users would decide whether to investigate whether or not this case is against the use of cell phone. Diwani's lawyer, who did not expect this, asked for time to decide this.